The wealth units Q2 results had an 11% rise in profits on higher asset-based fees. 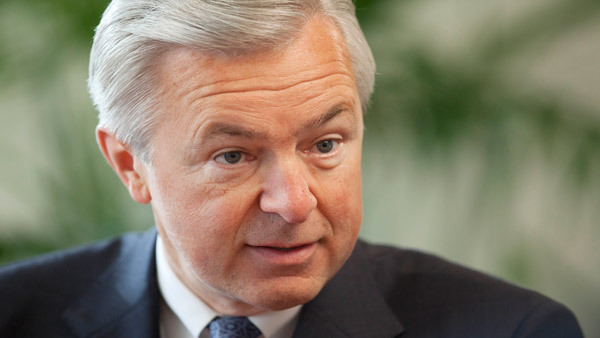 Wells Fargo (WFC) said Tuesday that its second-quarter net income declined slightly from last year and from the prior quarter to $5.72 billion. Earnings per share were $1.03, meeting estimates. Sales were $21.3 billion vs. $21.1 billion a year ago. Compared with the first quarter, revenue “increased on net interest income growth and expenses declined. Our balance sheet remained strong, as evidenced by solid asset quality, liquidity and capital, and we were within our targeted ranges for ROA, ROE and efficiency,” Shrewsberry said in a press release. The company’s Wealth, Brokerage and Retirement (WBR) reported net income of $602 million, up 11% from $544 million last year and an increase of 7% from $561 million in the earlier period. These results were mainly driven by higher asset-based fees, which were partially offset “by lower gains on deferred compensation plan investments (offset in compensation expense) and lower brokerage transaction revenue,” according to the company. Revenue for the unit was $3.74 billion, topping $3.55 billion in Q2’14 and $3.73 billion in Q1’15. It included an improvement of nearly $190 million on growth in asset-based fees and net interest income. The full unit has $1.7 trillion in client assets, of which $1.4 trillion are handled by the 15,151 employee and independent advisors. The number of bank products being cross-sold by advisors and others in the unit was 10.5 in the second quarter v 10.4 a year ago. Managed account assets, $434 billion, increased $25 billion, or 6% from the prior year, primarily driven by net flows. And the retails advisors had “strong loan growth, with average balances up 25% from [the] prior year largely due to growth in non-conforming mortgages and security-based lending,” according the company. Within wealth management, average loan balances grew 12% from last year, the bank says.